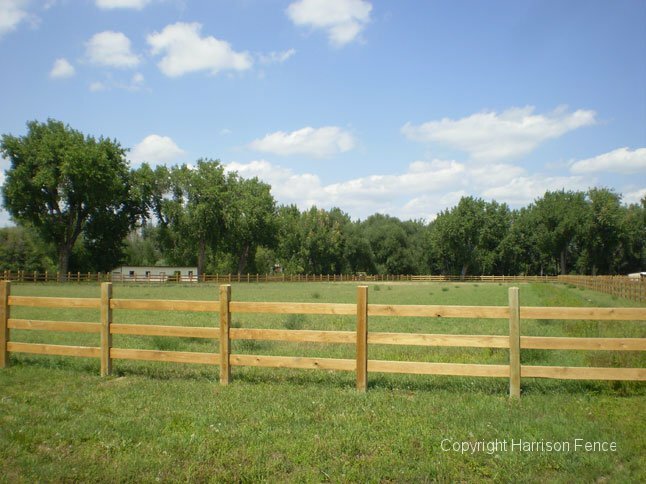 Ranch and farm fences are constructed to contain your livestock or agricultural areas. 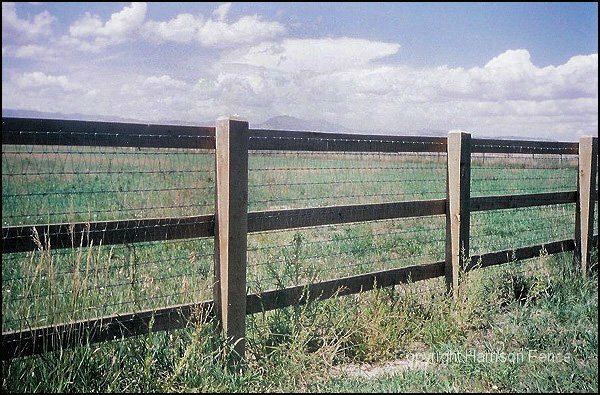 Rail fences, smooth-wire, barbed-wire and t-posts are all available. 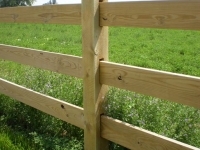 Special attention is given to the corners and ends where H-bracing will be constructed for wire fences. 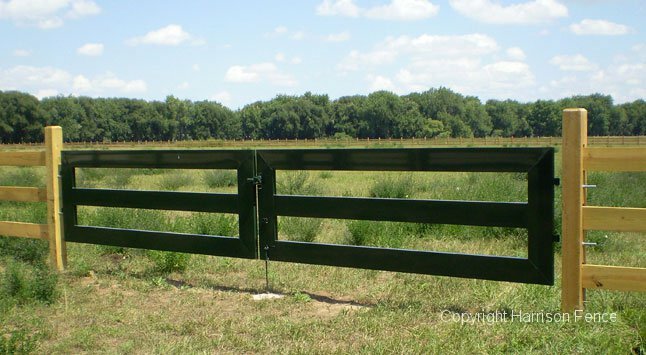 Classic Equine can provide custom gate design and fabrication depending upon your needs (see fourth photo down). The gates for this rail fence were custom-designed and fabricated by Classic Equine (see above) for a seamless visual transition from fence to gate. 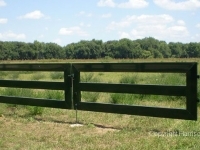 There are many other styles available for ranch gates. 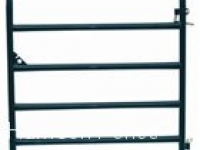 This is a standard steel tube-type gate and comes in various heights and lengths. 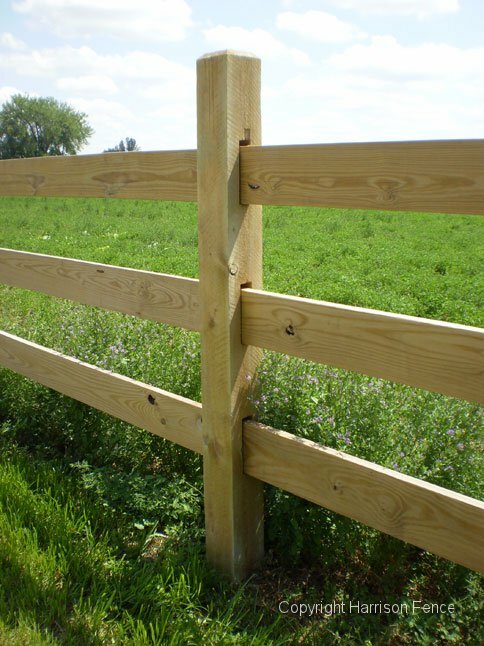 Wood posts and rails can be combined in different applications to create the enclosure appropriate for your needs. 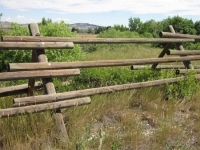 This fence was used as a deer fence in order to keep the deer from entering the property. 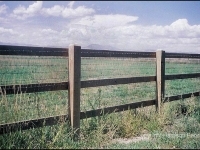 Harrison Fence can also create pet enclosures for protection from Mountain Lions or other predators in the Boulder foothills area. 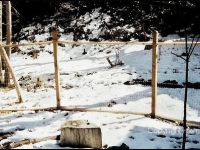 Posts are not set in concrete. 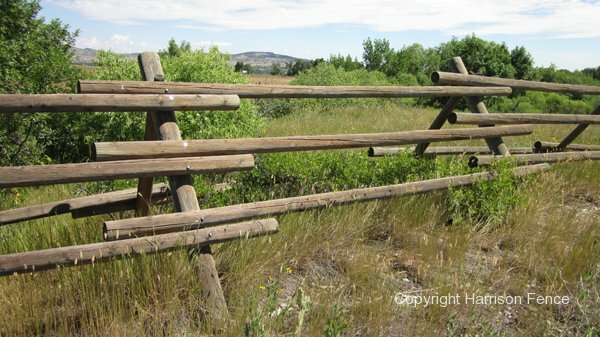 This is good for mountain locations or near livestock.